Living well in modern life requires strength, and an understanding of your body and how to look after it. Achieve this at Aalaya Pilates and you’ll be empowered to live the life the way you want. Aalaya Pilates is a boutique pilates studio located at Plaza Senayan Arcadia that offers a wide range of international standard pilates classes. Modern life is made easy when you can power through it with a certain kind of strength - a core, inner, strength. This is a way of life we work to experience with you. At Aalaya Pilates we value continuous education so that we can provide you with the best pilates training and beyond. We are happy to be a host studio for BASI Pilates, the only host studio in Central Jakarta area. There are number of different options when it comes to your pilates training. Take a look at basipilates.com. 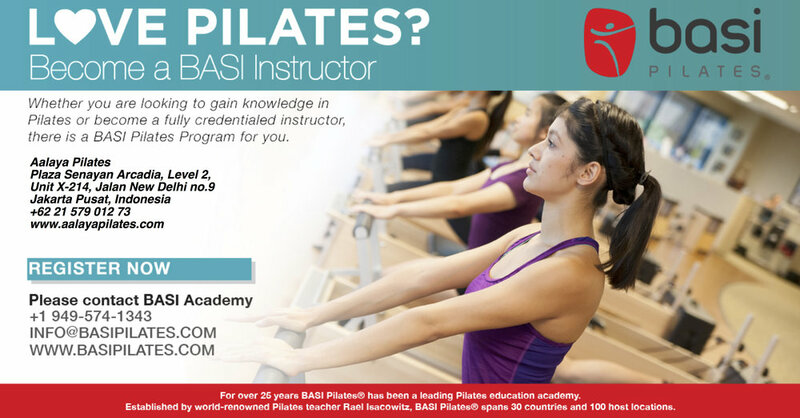 If you are interested to be a certified BASI Pilates instructor, please email us info@aalayapilates.com to discuss your options.